Sunday Quote!- Martin Luther on the Eighth Commandment | J.W. Wartick -"Always Have a Reason"
Note that it is not enough simply to not lie to our neighbors. We must also defend the neighbor and also think and speak well of them. In the Large Catechism, Luther expands on these thoughts quite a bit. We should be generous in our interpretations of others’ intentions and acts. Too often, even in Christian circles, I see people labeling others as “compromiser” or “fundy” or “liberal” without any consideration of the actual motivations, arguments, and positions of those with whom disagreement exists. Doing this is breaking the Eighth Commandment. Even in disagreement, we should think and speak well of our neighbor. I pray that I may take this to heart and adapt it to my life. « Really Recommended Posts 9/4/15- Shark Attacks, Sexism, and Planned Parenthood editing? Oh my! We tend to go lightly on the motivation that it is because we fear and love God. That fear of God is what motivated Joseph in Genesis 39. Victor Frankel said America should have two statues. The statue of liberty on the east coast and a statue of responsibility on the west coast. How would you depict a statue of responsibility? I am thinking it should be a family. I decided to look into the Large Catechism explanation, and found a couple things especially fascinating. “No one shall say anything evil of a neighbor whether true or false, unless it is done with proper authority or for that person’s improvement”. The particularly striking thing here being that even where something is known to be evil, such a knowledge should only be used in a just and honoring manner, with Matthew 18:15 used as a reference. In the modern age, where so much of “right and wrong” has been interpreted as divided camps, there is a great value in understanding the use of the law, where appropriate, for correction and not just condemnation. In explaining this, Luther also points to a distinction between “secret” sins and “public” sins. “But where the sin is so public that the judge and everyone else are aware of it, you can without sin shun and avoid those who have brought disgrace upon themselves, and you may also testify publicly against them”. This helps put a proper perspective on what it means to put the best construction on something. Because when something is publicly wrong, putting too good a construction on it might encourage others to do wrong, thus harming them. I believe you would accept the following application to the present day: it is fitting and right for Christians to publicly oppose an organization which publicly promotes abortion; likewise, in keeping with the Eighth Commandment, a person should be patient and generous with an individual who has had an abortion or considered it, counseling them in private with compassion for the support of their well-being. Thanks for stopping by and sharing this! I also looked it up in the Large Catechism and enjoyed what it had to say as well. 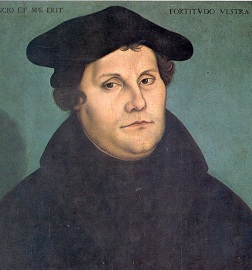 Luther often has stunningly simple, yet applicable insights throughout his writings. I do agree with the application you share at the end as well. Thanks!